It wasn’t the breathtaking beaches that attracted the visitors and locals to Badoc town in Ilocos Norte on Tuesday, Feb. 5. Rather, they flocked to the St. John the Baptist Parish Church, also known as the Shrine of La Virgen Milagrosa de Badoc, for a ceremony elevating the shrine to minor basilica status. 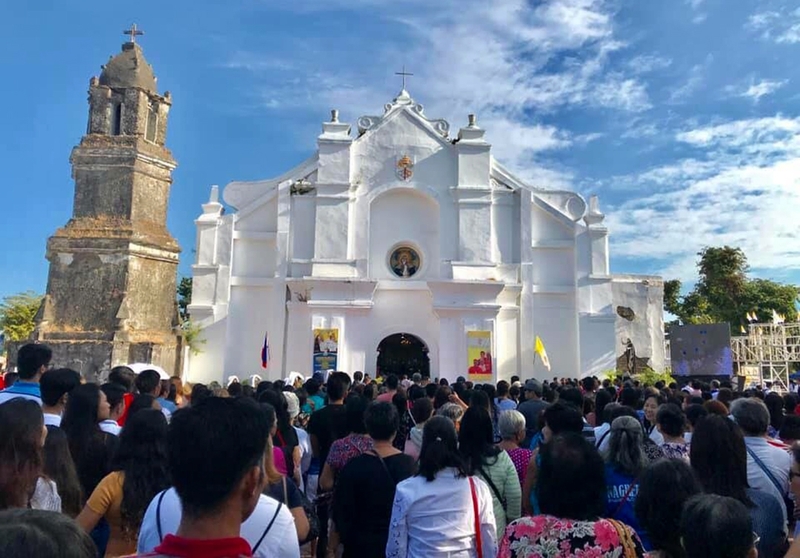 Thousands of people filled the pews and queued around the centuries-old baroque style church, where the “La Virgen Milagrosa” is currently enshrined, to witness the historic occasion in the Diocese of Laoag. On behalf of Pope Francis, the declaration was made by Archbishop Gabriele Caccia, Apostolic Nuncio in the Philippines, in a Mass presided over by Archbishop Romulo Valles of Davao and president of the Philippine bishops’ conference. The decree declaring this Vatican concession, issued by the Congregation for Divine Worship and the Discipline of the Sacraments, was read in its original Latin text by Laoag’s Chancellor, Fr. Rey Respicio and the English Translation by the Rector of the Basilica, Fr. Freddie Astudillo. In his homily, Cardinal Orlando Quevedo, Archbishop Emeritus of Cotabato, said that Francis’ decision to elevate the shrine’s status is a recognition of its role in the diocese and the whole church. 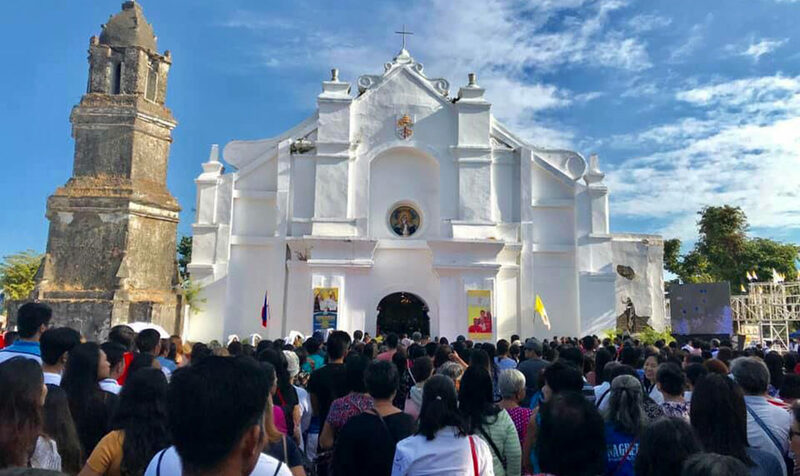 “Becoming a minor basilica is a strong call to the people of Badoc and Ilocos Norte, as well as a call to all pilgrims… to strive daily to walk in the spirit of integrity,” Quevedo said. 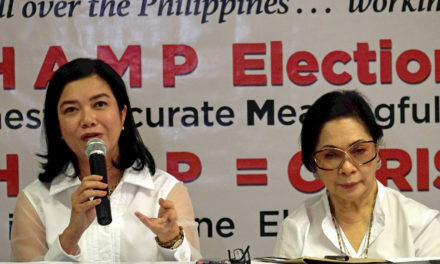 The Ilocos Norte-born cardinal also explained the connection of Japan and the Philippines through Apo Badoc, the cause of the elevation of the church to basilica. He said that there is no minor basilica without “La Virgen Milagrosa,” and there is no “Virgen Milagrosa” without the persecuted Christians of Japan who shipped out at sea the image, together with the black crucified Christ of Sinait, to avoid being destroyed by the Japanese persecutors. The local fishermen fished off the box that contained them from the sea. This is the reason of the presence of Cardinal Thomas Aquinas Manyo Maeda of Osaka during the historic declaration of the Badoc basilica. Cardinal Maeda said that the “Virgen Milagrosa” looks like the Our Lady of the Hidden Christians, the image which the persecuted Christians of Japan prayed to during the more than two centuries of hiding from persecution. He further spoke of a coincidental connection, the date of the Solemn Declaration of the Badoc Basilica is the Feast of the 26 Martyrs of Japan, a great fiesta to Japanese Catholics. The Mass ended with the Apostolic Blessing with Plenary Indulgence especially granted by Pope Francis to the occasion and was imparted by Archbishop Valles. A thanksgiving Mass and installation of the first basilica rector followed in the afternoon and was presided over by Bishop Renato Mayugba of Laoag. 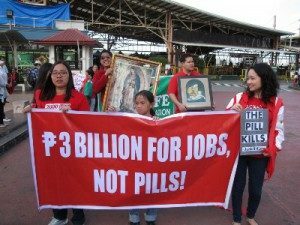 A solemn procession of “La Virgen Milagrosa” was also held around the town of Badoc participated in by thousands of pilgrims. Built in the 17th century, the Badoc Church is among the eleven Filipino-Hispanic baroque churches in Ilocos Norte. As minor basilica, according to the decree of concession, the church enjoys “all the attached rights and liturgical concessions” pertaining to the privilege. These include the granting of plenary indulgence to whoever visits the church under the necessary conditions of sacramental confession, Eucharistic communion and prayer for the pope’s intention. 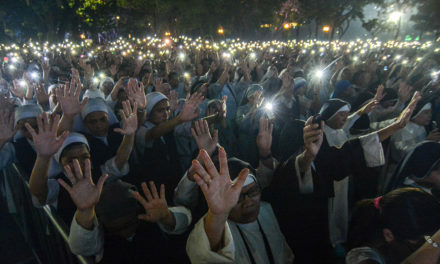 These concessions are received during the following celebrations: on the anniversary of the dedication of the same basilica, on the day of the liturgical celebration of St. John the Baptist and La Virgen Milagrosa de Badoc, on the Solemnity of Saints Peter and Paul, on the anniversary of the granting of the title of basilica, once a year on a day to be determined by the bishop and once a year on a day freely chosen by the each of the faithful. The said concession also grants to the church the use of “the papal symbol, that is, “crossed keys,” which may be exhibited on banners, on furnishings, and on the official seal of the basilica.